San Francisco Municipal Transportation Agency (SFMTA) is currently constructing the Central Subway in San Francisco, California (the Central Subway). The Central Subway consists of an underground railway and multiple stations. 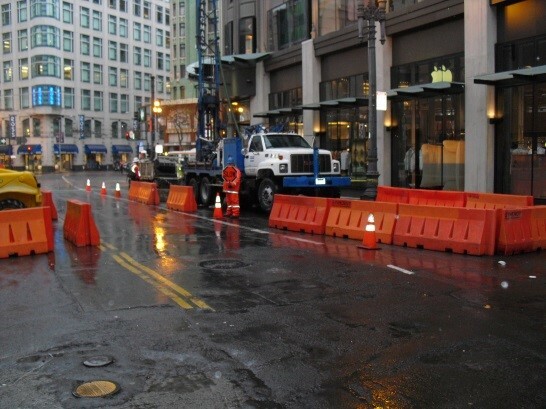 AEW was retained by SFMTA to conduct site characterization at UMS Station and a gas station located at the corner of 4th and Folsom Streets (Gas Station) where a portion of the Moscone Station would be located. SFMTA is in the process of completing the property acquisition the Gas Station from the owner. Both stations will also involve excavation of soil to a depth between approximately 65 feet and 100 feet. Through excellent planning from AEW prior to executing the work for both projects, no major project challenges were encountered for completion of these projects.